My design team and I needed to identify an opportunity for us to not only solve a problem, but to also have an appropriate brand back up our solution. It was difficult to decide on a big enough problem that could potentially be solved in just 2 weeks, especially because we didn’t want to do just anything. We were driven and inspired by the idea of creating something meaningful and enjoyable. After listing dozens of problems that we were trying to solve in order to save the world, we realized we needed to think about the little things first. It took us awhile, but once we thought about who had problems that needed to be solved, a lightbulb lit up. College students. All 3 of us had graduated within the last 1–2 years and we could all testify to the fact that we had a plethora of wants and needs that we didn’t know how to solve. We made the assumption (based on our personal experiences) that college students are on the lookout for good deals for things that they need during their 4 years as an undergraduate. Books, clothes, furniture, appliances, shoes, electronics, etc. A bazaar. Well, actually, a yazaar. We wanted to create a central hub that students could access via mobile so that they could buy, sell, and/or trade with or students at their colleges. As for the brand to back us up? Yik Yak. 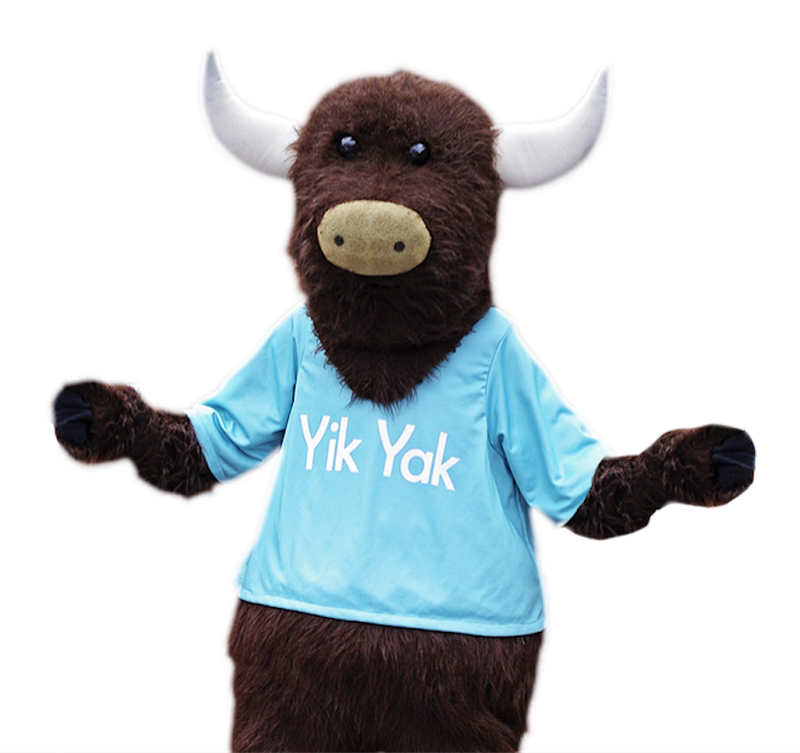 For those of you who don’t know what Yik Yak is, it’s a mobile application that allows users to ‘yak’ (post) an anonymous message that can be seen by those within a 5-mile radius. It’s taken college campuses by storm and implements geo-fencing technology in order to ensure that only mature audiences can access it’s message boards. So, how were we going to combine the two? We had a great team handling this project. All three of us came from different backgrounds, but we all had a similar college experience when it came to needing things and needing to get rid of things. 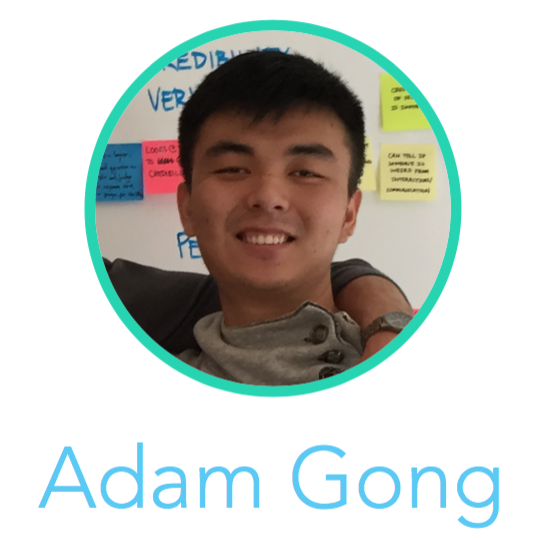 Adam Gong handled our wireframes while also coming up with great ideas in the clutch moments where Connor and I were running dry. 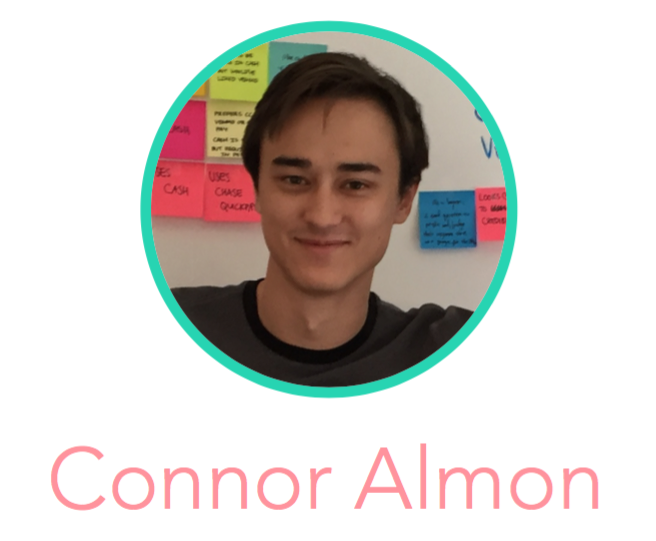 Connor Almon took care of finalizing our deliverables to ensure they were presentation ready. 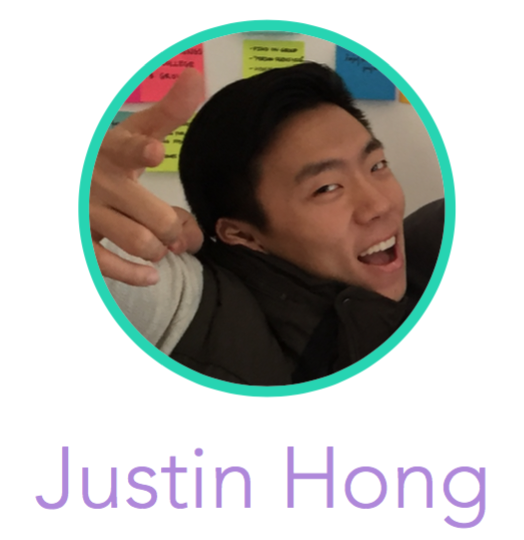 Justin Hong (that’s me) took care of our notes and data synthesis. 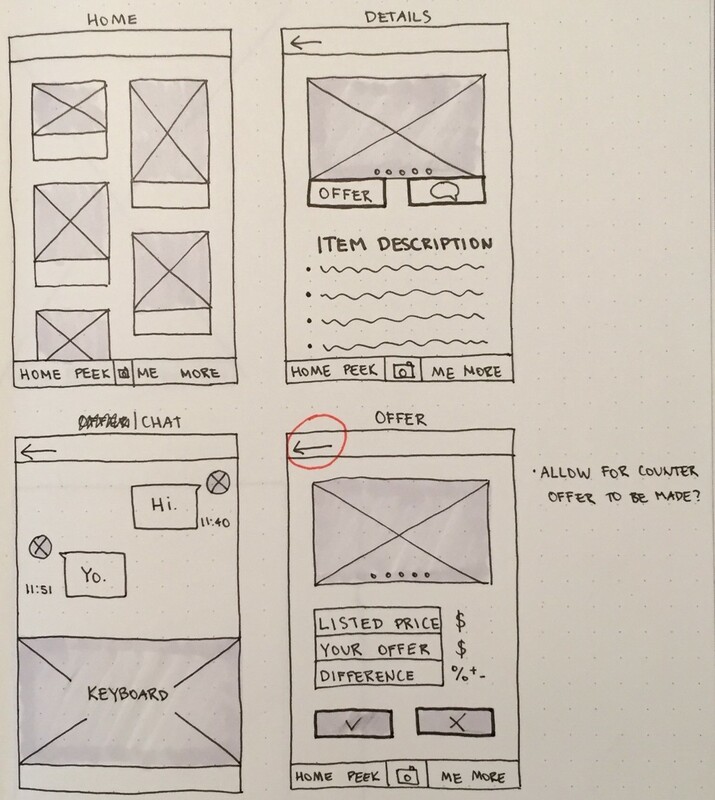 I also did all the sketching/wireframing before we upped the fidelity via Sketch. Consumer-to-Consumer (C2C) mobile commerce (M-Commerce) is an industry that is growing and quickly. We saw this as an opportunity for Yik Yak to become a major player in the game, especially since there currently is no dominating brand in the business. Despite our main competitors all being found in the Top 100 apps on the App Store, we actually had a lot of focus on Facebook and Craigslist, but before I move on, let me talk a bit more about our main competitive analysis. As you can see from the above figure, there’s a visual trend among C2C M-Commerce native applications. Not only do they all complete the basic task of being to buy and sell something, but they also share a common layout that is becoming more and more recognizable. We found that the “pin style” interface is intuitive and pleasing for users — they know what they’re looking at and what they’re supposed to do. Despite wanting to do something more original and unique, we decided it was in Yik Yak’s best interest to utilize a similar layout as its competitors. We figured it was best to focus on a layout that was not just recognizable, but one that was also able to carry a user from beginning to end seamlessly whether they were buying or selling an item. Once that was hammered out, we could turn our attention to using a different layout. While taking a look at the competitors, we also took note of the features they all have to offer. All 7 competitors, both direct and indirect, were able to do a lot of the same things. The only difference we found was in Craigslist and Facebook — the former had no additional features other than its classifieds listings and the latter had no category filtering for when things are listed, which makes sense seeing that these 2 indirect competitors aren’t in the same market as the other brands. Our survey can be seen here. The goal of this survey was to try and get into contact with people who have taken part in C2C M-Commerce before and/or those who are familiar/use Yik Yak — this means they would probably have to currently be in college or graduated within the past 2 years. It was very rare to find anyone who matched all of these criteria, especially people who have used a competitor’s app, se we decided to expand on our search to include more respondents. This proved extremely valuable, providing new insights on the barriers that prevented some users who wanted to buy, sell, or trade from being able to actually do so. We ended up speaking to 9 people. At first glance, the team felt like all of our responses had more discrepancies than they did similarities, which caused a lot of confusion and second guessing. We went on to synthesize our data to see if a trend was somewhere buried under all our findings. Me (left) and Adam Gong (right) organizing our findings as Connor Almon documented. Sellers: Don’t want to give out information and want to reply at their own pace on their own time. Listing items can be a hassle and if they are selling something, they’d like to be paid in cash. The difficult part about this is, one person is a buyer and a seller depending on what they need to get done. So these trends apply to the same people, but are conditional on their role in the process. We then used the information we got to create 3 personas that would reflect the types of users that would interact with our application. Our primary persona, Zoey. She does both buying and selling and is always on the lookout for great deals. A mobile power user, she’s always on top of her game. 2. Our secondary persona, Joshua. He has a major case of senioritis and forgot that he has to get rid of his textbooks, but he’s never really sold or given his stuff to anyone before. 3. Our tertiary persona, Sara. She buys, sells, and trades, but only with her friends. She doesn’t like deal with strangers, not because she hates meeting new people, but because she just feels, well, weird. 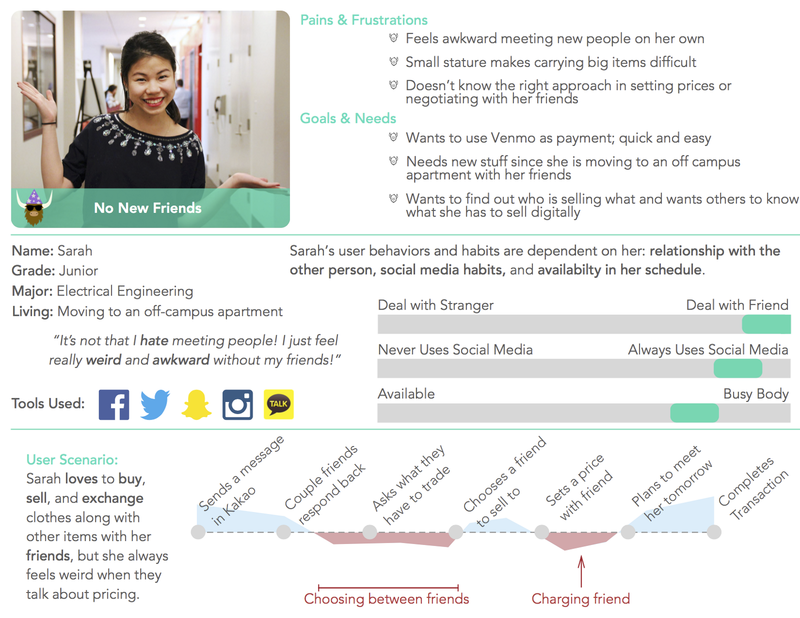 Using these 3 personas and the trends we identified earlier, we started thinking about how to accommodate them. We charted out all the possible features that our app could have that would help make users happy. The x-axis is based on an effort spectrum whereas the y-axis is based on a necessity spectrum. Since our focus was to create a platform for college students to buy and sell from other students on their campus easily and safely we prioritized features that revolve around that. 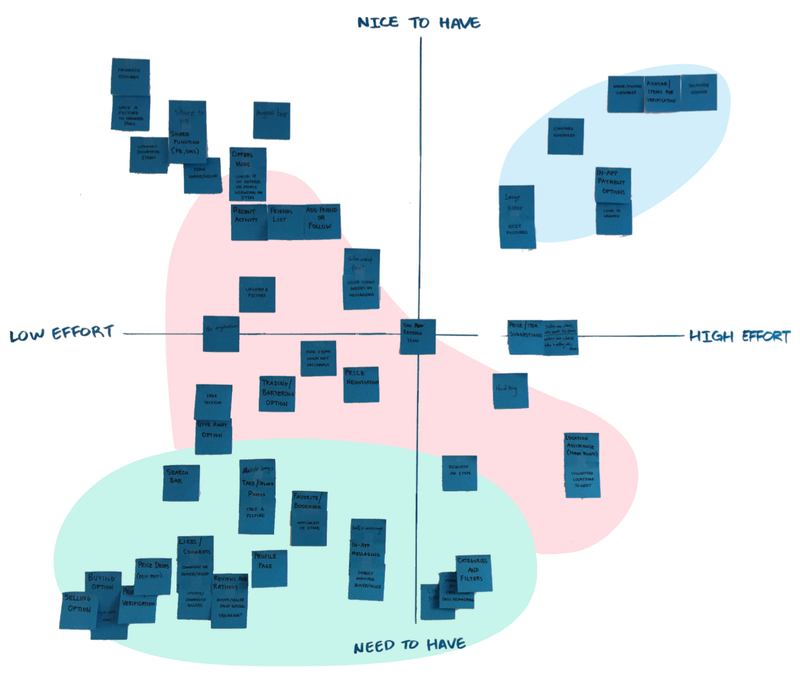 Once these features were identified as vital parts of our MVP, we began sketching. Lo-Fi Sketches to get an idea of what some key screens make look like. On the left is the result of an early design studio we had. We spent a few minutes to individually come up with ideas for key screens and this was my visualization. I tried to maintain Yik Yak’s current layout as much as possible by thinking about its recurring elements and maintaining their global nav bar as much as possible. After sketching some of these things out, my group and I decided to create a quick paper prototype in POP. For our first, lo-fi wireframe we encountered a lot of problems with our iconography and copy (or lack thereof). People couldn’t see that the Yak in the middle of the global nav was a button. However, once they ran through the application once, they were able to learn where everything was. The second, medium-fi wireframe had some of the similar issues because the Yak in the middle of the global nav was still not pronounced enough. However, the searching function still had a 100% success rate amongst our users. Again, we struggled with some copy issues where people were misled (e.g., a button that said ‘Buy’ led to a messaging system where details on buying could be set). The third, hi-fi wireframe had a lot of success. It was much easier to navigate with actual pictures of listings and adding some color to everything. Adding color to the Yak made it more prominent and led users to see it much quicker than before. Since the Yak carried the main CTAs, making that more visible and easier to access made the rest of the user’s experience much better. As a graduating senior, you want to get rid of your books and hopefully sell them using this new app. As a sophomore you want to buy a book you need for your design class how would you find it and then go about in buying it? As the same graduating senior, how would you complete your sale? 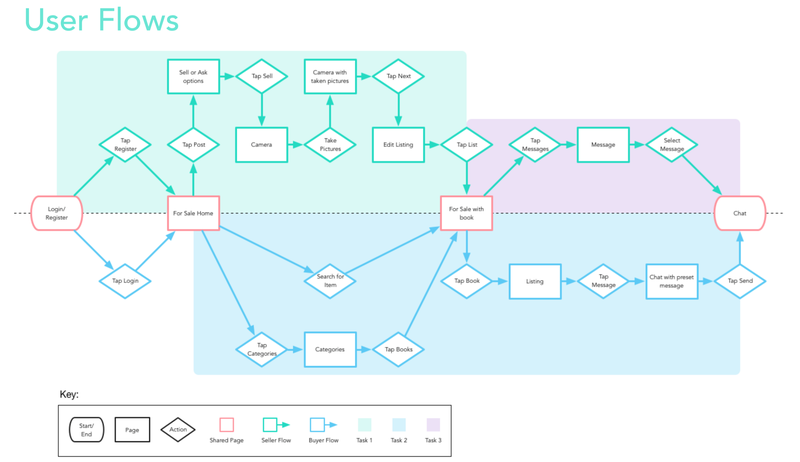 Our user flow was interesting as it consisted of 3 flows being integrated into one overall experience. There were 2 key takeaways from our design. 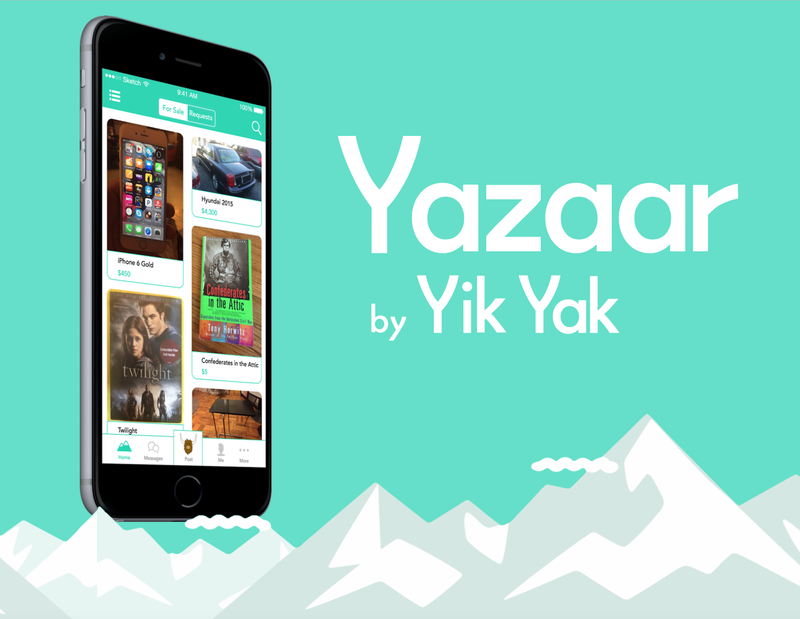 In regards to how most C2C M-Commerce apps are laid out, Yik Yak Yazaar follows the industry standards and conventions that make it natural for useres to complete their given tasks. Familiarity goes a long way; those who have never partaken in C2C M-commerce are expecting features and layouts similar to that of B2C e-commerce sites. Almost all of the users that were confused or stuck at a certain point had an “aha-moment” after spending more time on a page or given a bit more context. Those who were unfamiliar with Yik Yak’s functionality and features did not take into consideration its geo-fencing technology or focus on anonymity, which spawned a lot of their questions regarding security and credibility. There were a lot of features that our design team took into consideration, but we had to remind ourselves of the MVP: to buy and sell items. 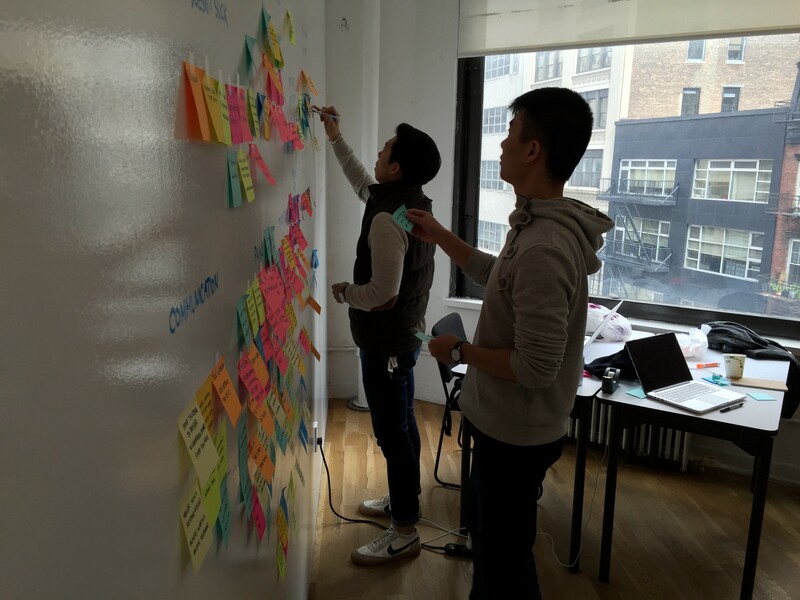 We believe we are almost there in terms of finalizing the process of our MVP. There are, however, many more things that can add onto the experience and really set Yik Yak Yazaar apart from the rest of its competitors and make it the top application for C2C M-Commerce. We realized that college students are a target market that will be constantly refilled and recycled every year, as new and old students come and go. 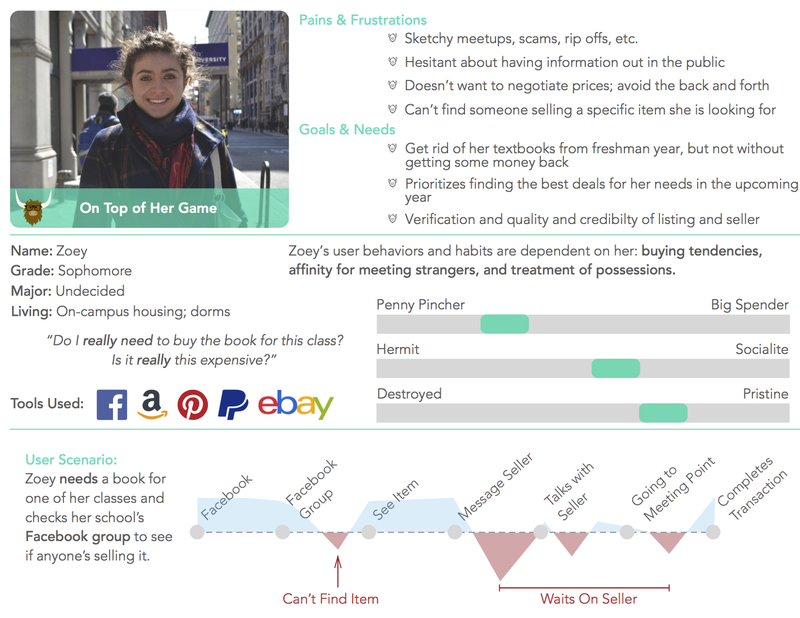 There will be needs and wants and Yik Yak Yazaar has the potential to fill those up. Once this trending type of m-commerce takes flight and is solidified in today’s culture, it will change into an industry standard that will be recognized the moment an app is installed and opened. In additiont to all that, there are a number business opportunities that can be explored. This includes, but is not limited to, connecting with payment companies, moving/shipping/delivery companies, and perhaps even a charity or foundation that would accept donated items. Who knows, maybe a Yazaar is already on the way?